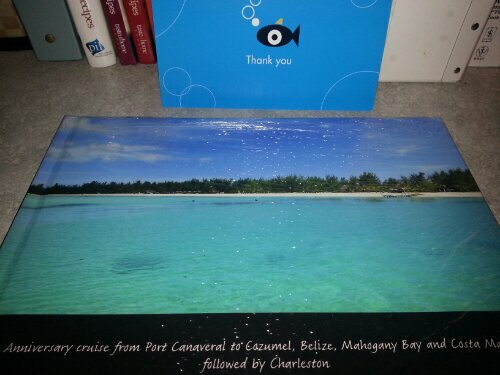 My second photobook came today! I’m really excited about this one because it’s of Ron and I’s cruise last year, which was my favorite so far. I had an amazing time, probably better than him because he was sick for a good portion of the trip. He was a great sport though and we did everything we had planned to, including amazing beaches, Mayan ruins, snorkeling, animal interactions and more. It was an awesome trip and one I’d definitely recommend to anyone. Hola from Mexico. Well, not really since technically we are now somewhere in the middle of the ocean, but today we were in Costa Maya or Muhual? Mexico. 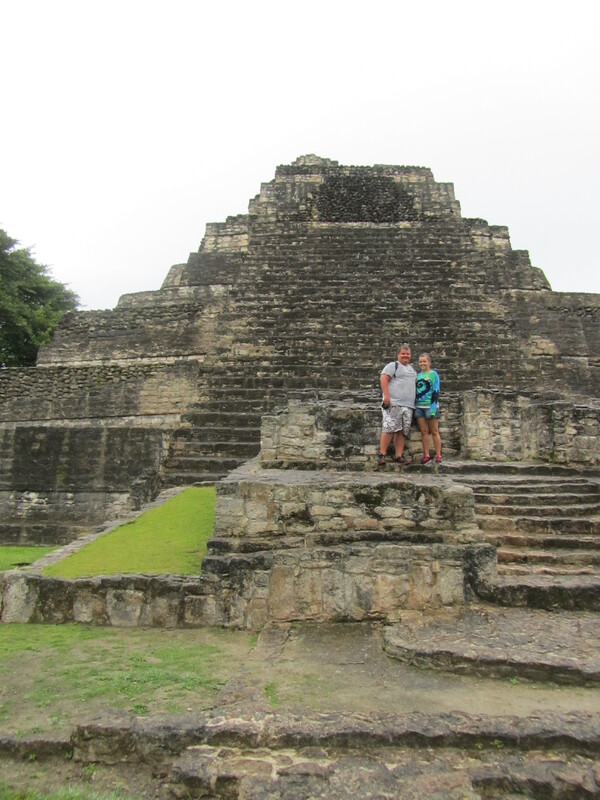 We got off the ship before the sun arose and spent the day visiting the Chacchoben Mayan Ruins, the town of Muhual and the beach. The ship didn’t dock in Costa Maya for very long, only from 7 a.m. (6 a.m. on Mexico’s time) until 2 p.m. (1 p.m. Mexico’s time), but we spent every minute of it sightseeing and touring outside the port, which is always something we try to do since the ports don’t actually give a very good representation of an area. We had an amazing time and a great tour guide. We were actually among the last to arrive back at the ship and spent maybe all of a minute in the port, just walking through on the way back to the ship. Tomorrow is a sea day and then our ship will dock back in Florida Saturday. 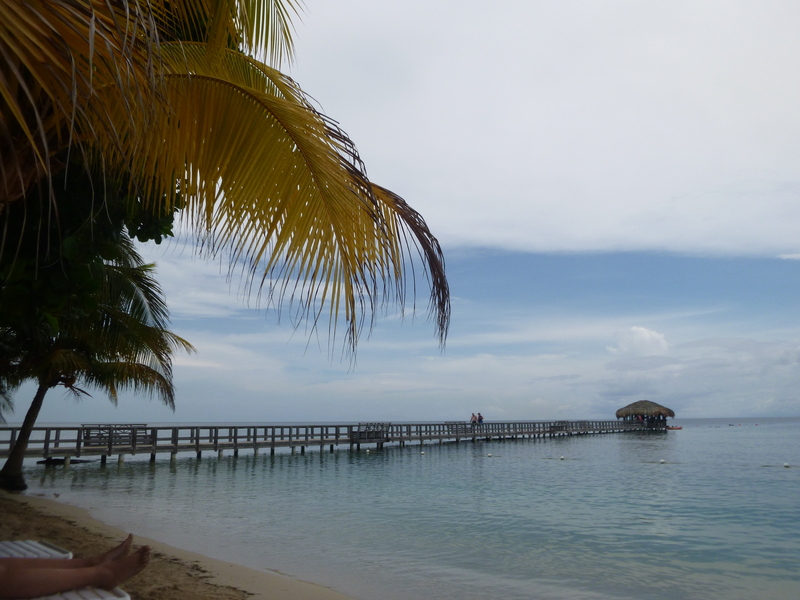 Today Ron and I were in Isla Roatan, Honduras. I really enjoyed it. 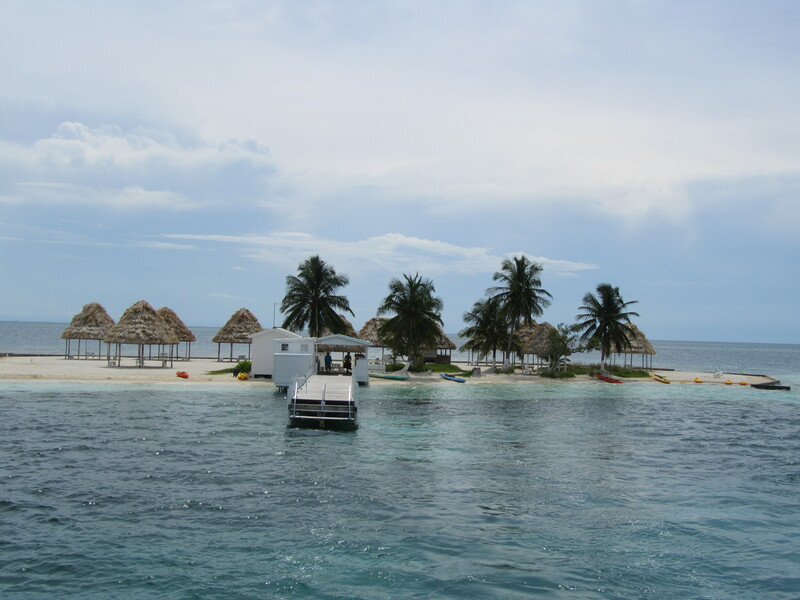 Like usual, we tried to get out of the port area and actually see the place we were in so we took a boat to Maya Key. It was amazing! Maya Key is a private island with the usual beach, pool and bar, but it also has tons of animals that have been rescued and brought to the island. Many of them are endangered species so it’s pretty cool that they’ve all been saved. There were monkeys, jaguars, cougars, alligators, tons of birds and water animals like stingrays and sharks. I met a sea lion named Ting. I think he liked me as he gave me lots of sea lion kisses. The whole thing was an awesome experience and I’m definitely glad we did it. Ron wasn’t feeling well today, but he even seemed to enjoy it. I’d definitely visit again. Today was spent in Belize! I heard all of these horror stories about Belize, but it was actually pretty nice. We took an excursion to Rendezvous Cay, a small (man-made I think) island where we could snorkel, kayak, swim, etc. I chose not to snorkel because when we did it last year in Grand Turk, I really couldn’t see a whole lot. My mask fogged up and it was kind of a mess, so I chose to bail on it this time. However, Ron did it and he loved it. Afterwards, he joined me on the beach and we hung out until it was time for the boat to take us back. 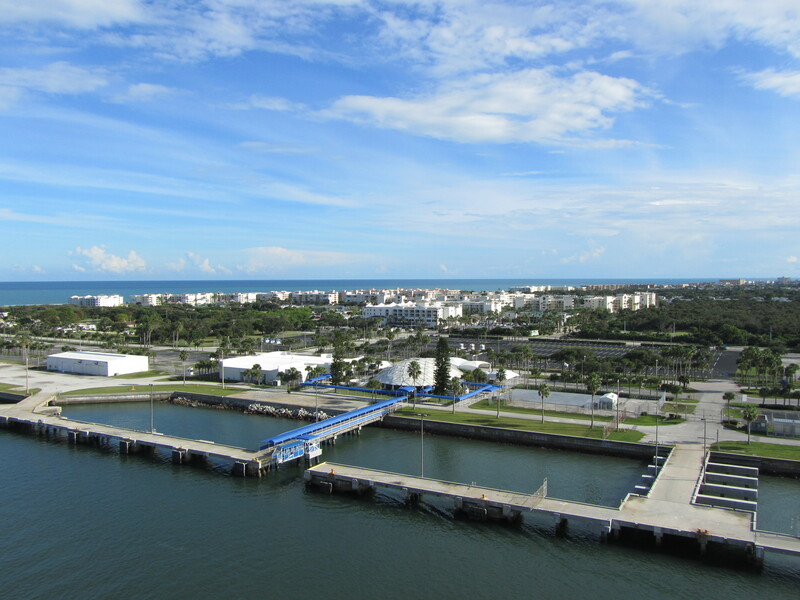 From there we got back on another smaller boat and headed into Belize City. We shopped around the port for a while, checking out all the handmade goods and crazy fake Coach bags. Ron got some chicken tacos from a bar and grill and I got Belizean Coca-Cola. Amazing! All of the coke products in the Caribbean are made by Caribbean Coca-Cola and they use real sugar instead of high fructose corn syrup. Why we don’t do that in the states I’ll never know. It tastes better and it has to be better for you since basically all sugar substitutes are chemicals (sorry Corn Growers of America). Plus, we’ve noticed all the cigarette cartons here have huge messages on them about the negative effects of smoking. They say things like “Smoking kills” and “Smoking lowers oxygen in the blood and causes impotence.” I kind of love it, since I’m anti-smoking. Having been in a family affected by cancer which just happened with no real causes, I can’t understand why someone would do something knowing what it causes. It seems ignorant. I really hope a similar campaign/regulation comes to the U.S. and if it brought Caribbean Coke with it it wouldn’t hurt. Ron and I spent the day in Cozumel, Mexico at a private island–Passion Island. It was amazing! The water in Cozumel is super blue and clear, but at Passion Island it is even clearer and more of an aquamarine/emerald color. We took a powered catamaran to the island, which was all inclusive with a free Mexican buffet and unlimited drinks. 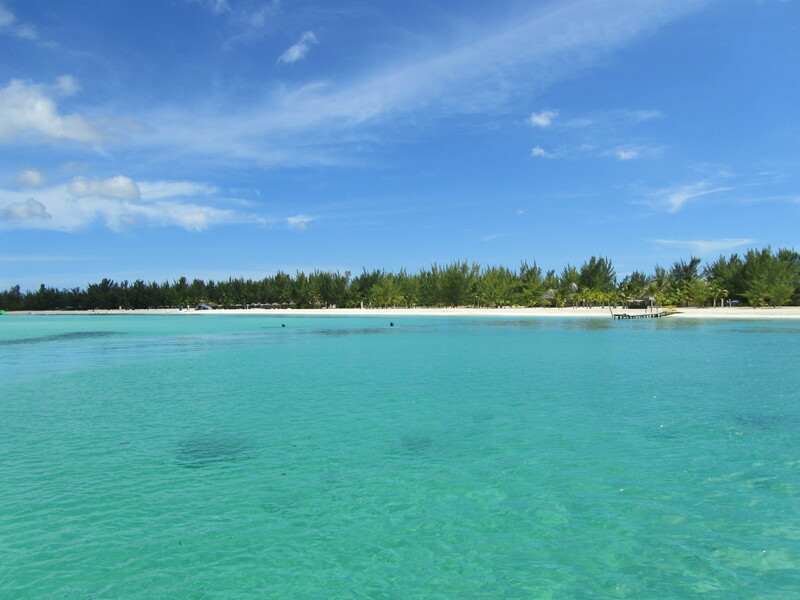 We spent hours on the beach, soaking up the sun, and in the water, enjoying the crystal clear surroundings. A fish swam by me, but he was too fast for the camera, and I tried authentic guacamole, which was a little too oniony for my taste. All in all it was a great day. 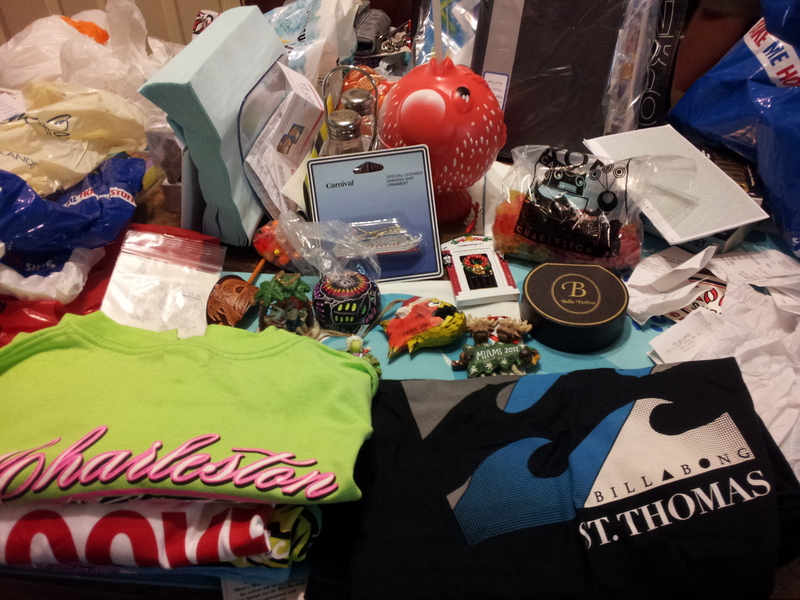 After the island, we arrived back at the port and did a little shopping before catching the ship. Tomorrow we’ll be in Belize and on a different island. We’re supposed to snorkel, but I see more beach time in my future than scuba masks. Since today was a sea day, Ron and I were up early and spent the day on the deck lounging, watching the weird contests (hairy men, champagne bottle ring toss, etc. ), read a little (I my book and Ron his CPA study guide) and got plenty of sun. Tonight was elegant night, so after being on the deck all day we got cleaned up and headed off to dinner. I should mention that elegant night is by far my favorite night on any cruise, especially the first elegant night (there are usually two). 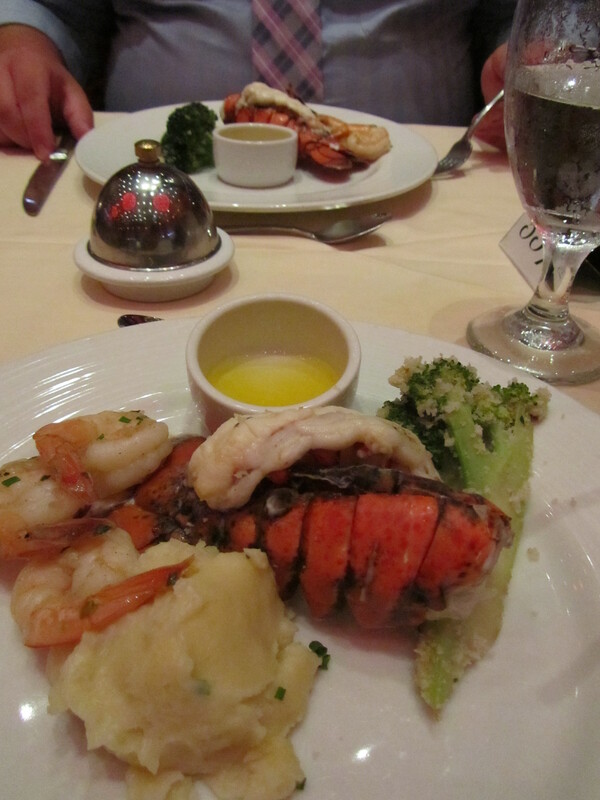 The first elegant night of the cruise is always lobster night and I love lobster. It was amazing and I also tried something new—alligator fritters. They were good, but not like a chicken tender. Actually, it reminded me more of a potato pancake inside, but a chicken tenderish ball on the outside. I know that’s not selling it very well, but it was good, just too many peppers for my liking. After dinner, we hit up a comedy show and now it’s off to bed because we’ll be in Cozumel tomorrow. Today Ron and I started our cruise! We woke up this morning, ate breakfast at our hotel, hung out for a little while and then caught a shuttle to our ship. We got to the port at about 11 a.m. and quickly got through customs and checked in. We didn’t have much of a wait after that and we’re on the ship before noon. Because rooms aren’t usually ready until about 1:30 p.m., we sat on one of the upper decks and had lunch before touring the ship and then finally, heading to our room. Our luggage didn’t arrive for a few hours so we checked out some of the areas on the ship before dinner, which was amazing as usual. With all the travel, we hit up a show after dinner and then it was off to bed. We’ll be at sea tomorrow and then Cozumel on Monday. 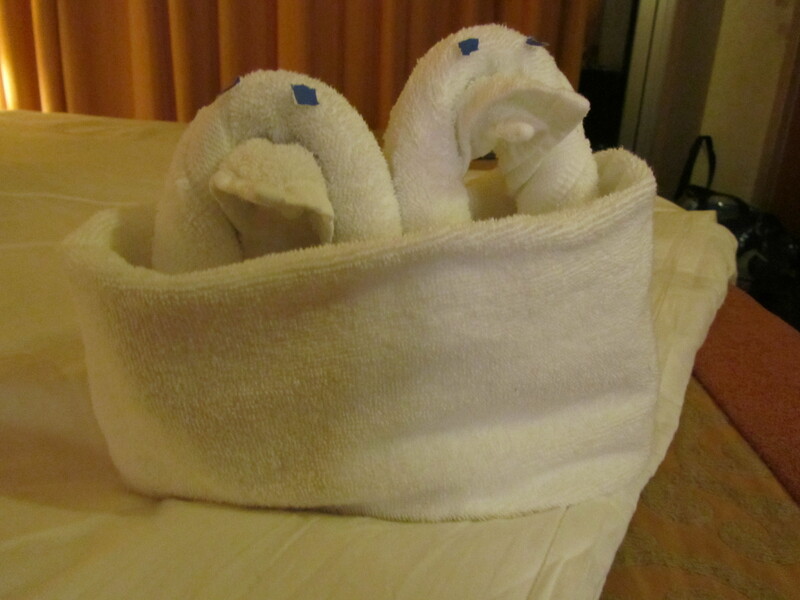 Perhaps it’s the child in me, but I really love the towel animals that cruise stewards make and leave on the bed every night. Tonight’s towel creation is two penguins in a pod. Last night, we had a monkey hanging from the ceiling, which is still there actually. We’ve also had a swan, an elephant, a frog, a pig and a dinosaur. I think the steward, Freddie, has realized how much I love my towel animals because a lot of times they will rework the previous night’s animal into something new, but I still have the frog, pig, dinosaur and monkey, in addition to the new penguins. Sadly, I have to leave my little towel friends tomorrow, but I bought the book on a previous cruise so maybe I can recreate some of them. I’m going to miss the turndown service and twice a day room cleanings. I’m sure Ron will miss the mints on the pillow as well. Although I don’t see any tonight. I’m sure they are around here somewhere. Tomorrow morning we debark, after what has been an amazing vacation, and begin our journey home. The good news is we can take our time, since we don’t have to be home until Monday in order to go to work Tuesday. I’m glad we took this trip; it was such a great vacation, and I pray we, and everyone else, makes it home safely. 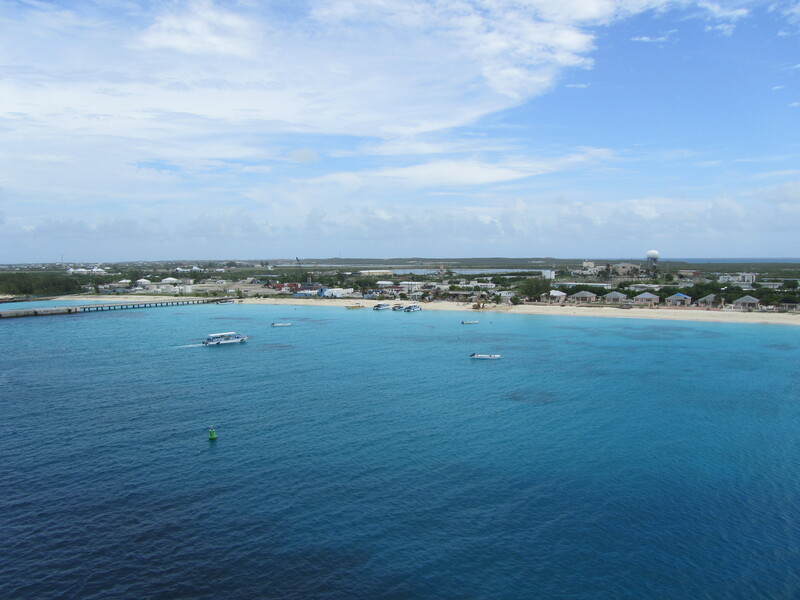 Today, Ron and I visited Grand Turk. and the world famous Govenor’s Beach. It was absolutely amazing. You could snorkel around some coral to see different fish. I have to admit, I don’t see well usually, so snorkeling wasn’t for me. The stupid mask would fog up and then I really couldn’t see anything. And it’s brutal on your hair. The rubber strap get stuck and pulls on it. Ron, however, really enjoyed it. While I only saw one fish, he saw a whole bunch of various colored ones. Lying on the beach was nice. The people there played music, mostly songs played in my Zumba class so I had to resist the urge to groove, and had a bar with sodas and other drinks. A woman was also grilling up food, but we never ate anything. After leaving the beach, we did a little shopping before heading back to the ship. Today was our last port day, now we have a day at sea tomorrow before we arrive back in Miami on Saturday. Our vacation is far from over though; we don’t have to be back to work until Tuesday!